If you have noticed that there are some problems with your teeth and it is keeping you from enjoying your life as much as you should be, there are steps you can take to fix it. Many people have gaps in their smiles, have crooked teeth or overlapping teeth and feel like there is nothing that can be done about it because they are too old. The truth is more adults are turning to orthodontists for help with their teeth than ever before. There are many more options available to you today then there has been in the past, so if you are ready to look into getting adult braces in Irvine, there are some things you may want to know first. Many adults hear the word braces and they immediately think of what kids have had to wear for many years with the metal braces, the pain and embarrassment they could cause and the problems you might have eating with them. You should know that the industry is very different today and there are more options available to you than ever before in terms of braces. While the metal braces still exist, they are made much better than before and can be more comfortable than you realize. There are also braces today that are made to be removable and practically invisible so that no one will ever know you are even wearing them. You can take them out when you are eating so you can be more comfortable and still get the benefits to your teeth. If you are considering adult braces in Irvine, you want to make sure that you go to see the right orthodontist to get the help you want. Look for a doctor that not only has years of experience in practice but also keeps up with the latest technology, materials and methods so that you will get insight into all that is available to you today. Your orthodontist can perform a thorough evaluation and determine what options are best for you to help you with your teeth. Getting adult braces in Irvine is not a traumatic experience when you go to see Sons & Daughters Orthodontics. You can call the office directly at 949-262-9567 to schedule an appointment or go to their website at www.sndortho.com to learn more information and make contact about getting the help that you want. Why Do We Choose Board Certified Doctors? 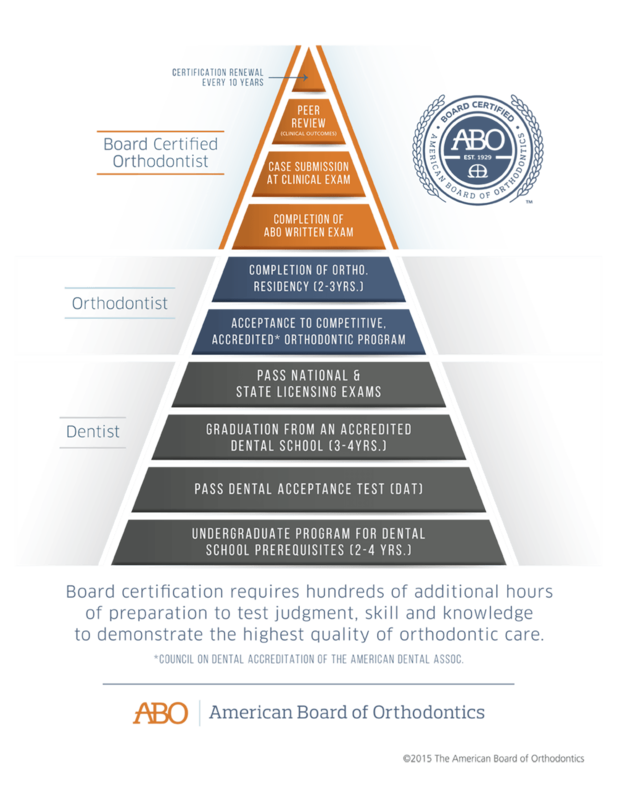 To become Board Certified, an Orthodontist must undergo an additional series of high level examinations. The American Board of Orthodontics is the only orthodontic specialty board recognized by the American Dental Association and in affiliation with the American Association of Orthodontists. An orthodontist is a dentist who has completed a graduate program in dentistry and received their DDS or DMD (Doctor of Dental Surgery or Doctor of Dental Medicine.) They have also gone through a 2-3 years residency at an accredited orthodontic program to be trained specifically in orthodontics and dentofacial orthopedics. A board certified orthodontist is an orthodontist who has voluntarily gone on to receive additional training and preparation to demonstrate their judgment, skills and knowledge required to provide the highest level of patient care. Both Dr. Lee and Dr. Nguyen attended dental school at UCLA. Dr. Lee attended USC for his residency and Dr. Nguyen attended UCSF. Both of our doctors are board certified and have been practicing for over 10 years! Who is the Best Orthodontist in Tustin? Some people resist smiling because of their crooked teeth. If you’re embarrassed with your current smile, you might need to see the best orthodontist in Tustin. You might think about how awful it would be to wear those unsightly braces. With several options today in straightening teeth, you could wear braces without other people knowing it. Once they’re removed, you’d surely be delighted that you’ve taken the decision of seeing an orthodontist to have your teeth straightened up. The best orthodontist in Tustin doesn’t only help straighten your teeth but he/she can also improve your bite. When you have a malocclusion or bad bite, problems would develop, such as muscle spasms, general headache, sore and swallowing problems, among others. Bad bites can also cause chewing problems. They may also result in the loss of supporting bone in your teeth. Overbites or underbites can lead to gum disease, tooth decay, and other problems. You might even lose your teeth because of your crooked or crowded teeth. An orthodontic treatment can promote dental health and prevent these problems. By improving your bite, your teeth will now fit together and your jaws will line up perfectly. For the best orthodontist in Tustin, straightening the teeth isn’t the only goal of orthodontics but it makes sure that the patient’s bite fits together. If it does, that’s when the treatment ends. As mentioned earlier, there are new ways to straighten one’s teeth. When it comes to braces, patients can now opt for a nearly invisible one or a clear set of braces. Some kids still enjoy having tooth-colored brackets, though. Others, however, want them to be hidden so they choose the lingual or back side of their teeth. Catching issues early on is the best thing that you can do to your kids. It’s recommended that, as soon as your kids reach the age of 7, they should see an orthodontist, even if they don’t have problems with their bite. How long for the treatment to take? It usually depends on your condition. Your orthodontist will customize your treatment. Typically, it can take one to three years before the braces can be removed. Is it for adults too? Braces are not just for kids but they’re also for adults. At Sons & Daughters’ office, some of our patients are older than 20. We even had patients who opted for an orthodontic treatment in their 60s. Invisalign vs. Braces – Which is the Right Choice? People can have issue with their teeth at nearly any age. While some people may take steps to correct problems with tooth alignment or crooked teeth when they are younger, others may not actually address the issue until they are adults. At whatever time you may face this issue when it comes time for you to do something about it you will be faced with a choice to make regarding your treatment. In the past, the only option you may have had available to you was metal braces. Today, with advances in technology, clear, removable braces are available to you as well. Looking at both sides you will see that in the Invisalign vs. braces discussion there are positives and drawbacks to either side. Invisalign is perhaps the most well-known option among all of the clear braces available today. With these braces you can wear the braces all day long without anyone noticing or seeing them. This provides you with a greater level of confidence over traditional braces and it can be a much better option for adults and teenagers looking to realign their teeth. The braces are also removable, though if you want to get the best effect from the braces the idea is to wear them as much as possible. Of course not everyone will be able to use braces like this and the clear braces due to tend to cost a lot more money than traditional braces. Traditional braces are the metal braces that are right on your teeth and help to realign the teeth so you get the straighter look and smile you want. 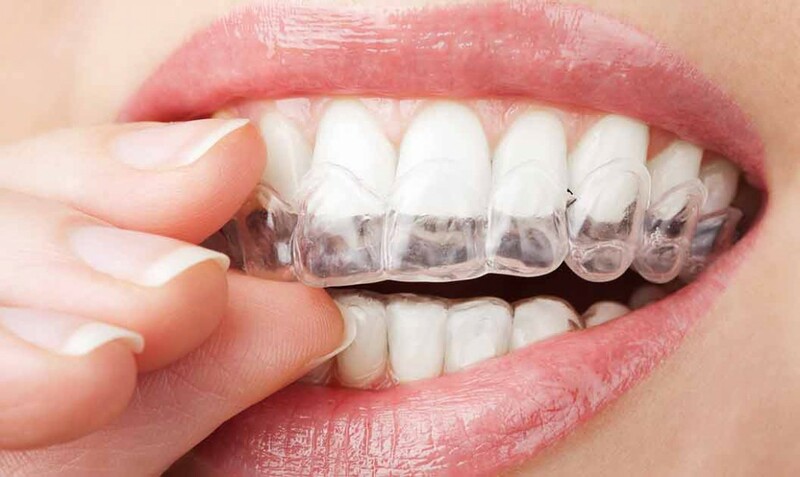 While they may not be as attractive as the clear braces, they are highly effective and can provide you with the realignment you need in many cases where the clear braces will not work. They also cost less than the clear braces, making them the better choice for many people. When it comes down to choosing which braces are best for you, you want to make sure that you weigh all of the pros and cons of each before making a final decision. Be sure to consult with your orthodontist to see which method your doctor recommends as the best for your particular case. This will help you to make the best choice possible so that you can be sure you get just the results that you want. When you are looking for any type of service to be done, whether it is in your home, your office, for your car or nearly anything else, you always look to find a service that has received glowing reviews and gets good ratings from previous customers and clients for the work done. It only makes sense for you to use the same practice when you are choosing the doctors that you see regularly. You want any type of doctor you see to be among the best so you get the high quality of care you want the most. That is why you want to spend the time looking for a five star rated orthodontist in Irvine when you need specialty work done that may involve braces for you or your family. There are many orthodontists that you can choose from in your area, but you want to take the time to find the one that is best suited for you and provides the top level of care that you deserve. Look for a doctor or practice that has doctors with high levels of experience in the field. You want a doctor that is familiar not only with the standard practices of the field but one that also stays up on all of the latest tools, techniques and methods that are available today so you can have the best options for treatment available to you. Perhaps the most important thing to keep in mind about an orthodontist is that you are going to receive the top customer care possible with the practice. This involves everything from the time you make the appointment, to dealing with the office staff to your visits for exams and dental work. You want to be as comfortable as possible to alleviate any anxiety you may have over the process and know that you are going to be cared for during your entire experience and have all of your questions answered. Going to an orthodontist is a big step for you and your family and it can be a long and involved process so it is important that you are as comfortable with the doctor you choose as possible. Take the time to find the orthodontist that is the best fit for you personally so you can be sure that you get the most from your visits.